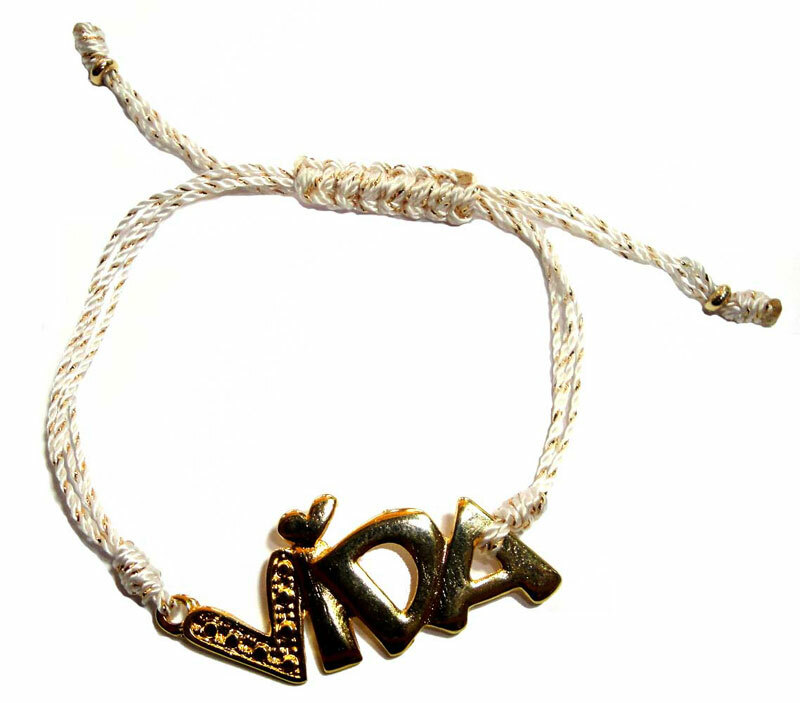 "Vida" means life in Spanish. This bracelet was created to celebrate life. This bracelet is handmade using off white nylon cords that has gold specs and it is accented by a "Vida" 18k goldfilled charm. Adjustable macramé closure to fit most wrist.